Here is the childhood memory of a conversion. An eight-year-old boy attends his first Saturday matinee and his world is changed forever. He and his little friend Marty walk twenty blocks of the city’s streets in order to see The Crawling Eye. 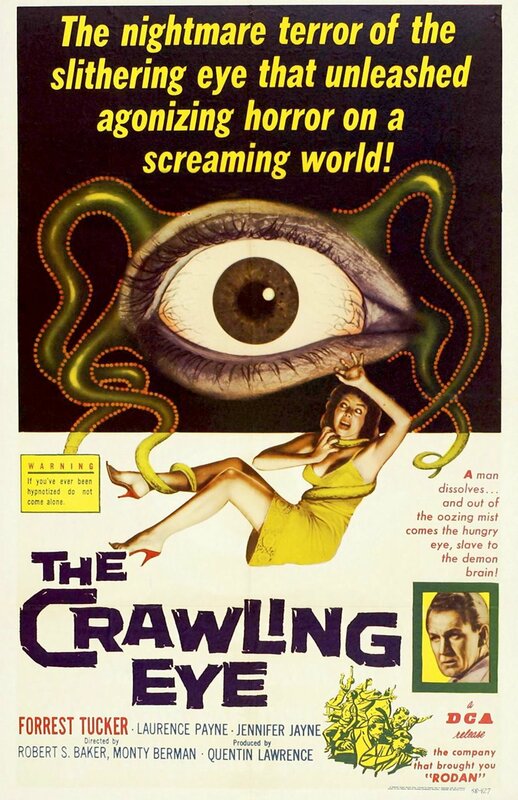 The title alone, with visions of a slithering alien eye, is guaranteed to ignite interest, at least among little boys, and not so little boys. The movie delivers what it promises. Yet here was the start of an Unchained Melody. I couldn’t believe the Power of the thing, this movie, sitting in the dark. So I recovered, and lived, in order to die, another day. As it happened, next Saturday they were showing The Alligator People. There was a God.